Queens Park Rangers defender Anton Ferdinand is ready to refuse to shake hands with Ashley Cole before Saturday’s game against Chelsea at Loftus Road. 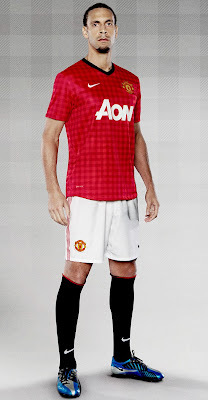 And in another twist, Ferdinand’s older brother Rio is considering a similar snub to his former England team-mate when Manchester United face Chelsea on October 28. The Ferdinands believe they were betrayed by Cole when he agreed to speak as a defence witness for John Terry in his successful court battle against the charge that he racially abused Anton last season. Centre back Anton will hold talks with QPR manager Mark Hughes on Thursday as the club gauge the player’s state of mind ahead of the potentially explosive London derby. 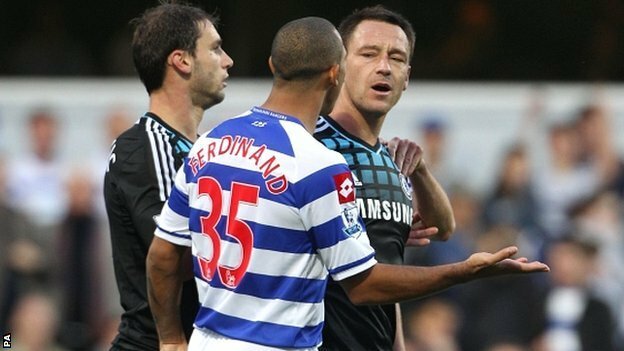 Terry was charged with racially abusing Anton during the Barclays Premier League match between QPR and Chelsea on October 23. Cole’s decision to support Terry’s defence bemused Anton because the pair had been friends. Chelsea captain Terry, who was stripped of the England armband by the FA before his trial, was acquitted at Westminster Magistrates Court on July 13 but is now facing an FA investigation into the comments he aimed at Anton on the pitch. Anton, Terry and Cole will come face to face for the first time since the court battle on Saturday and QPR could make an official request for the pre-match handshake to be scrapped. The Premier League, though, are adamant it will go ahead, despite the prospect of a flashpoint. Rio shares his brother’s antipathy towards Cole since the trial and the Manchester United defender seemingly endorsed a tweet referring to the left back as a ‘choc ice’ — a term with clear racial connotations. Rio was found guilty of improper conduct and hit with a £45,000 fine by the FA. Now the centre half is considering whether he will shake hands with Cole when United travel to Stamford Bridge on October 28.